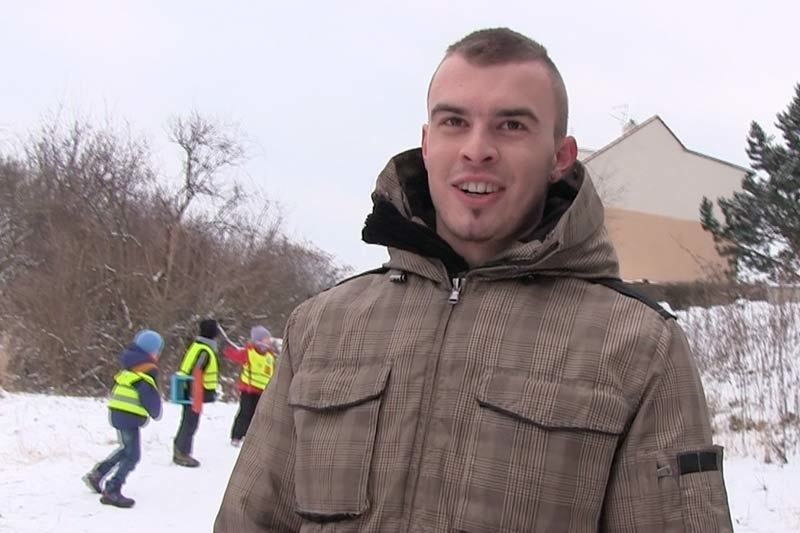 CzechHunter says: After last week’s ice skating, I wanted more winter fun. Tomas was quite jealous that he missed the guy from #283 and insisted to go with me. We packed our cameras and went out to hunt together. There was not much snow in the central areas of Prague so we headed to the outskirts. The weather was nice and it didn’t take long and we met a young couple. We joined them and went sledding. The young lady was funny but a bit temperamental. She got really angry when we started convincing her boyfriend to show us some skin. Eventually, she left yelling and cursing at all of us! I didn’t mind, it played in our hand a little because now he needed even more money to reconcile with his furious lady. So what could would be be willing to offer us? See Czech Hunter 284 here!